Anna developed a keen interest in the Skincare industry in 1996 when she had a Basel Cell Carcinoma removed. So after 20 years of working in London in Human Resources and 3 years training, Anna left the city to open her own Skin Care Centre. Amazing facial this morning by Anna. I haven't been for a few months and realised today how much I have missed this relaxing time. Beautiful experience highly recommended. Always a relaxing, professional experience! 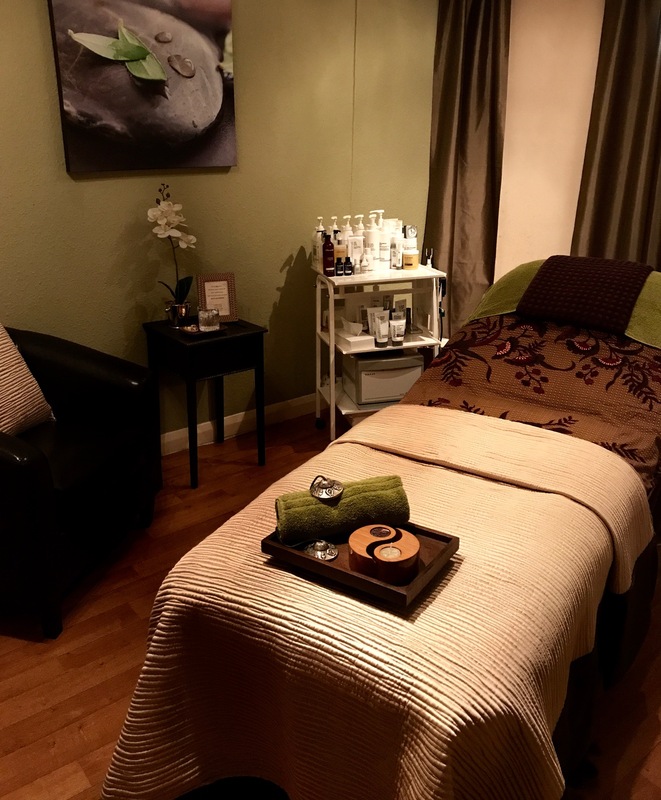 Over the many years I have been coming to the Dermal Lounge, I have always enjoyed the consistently high standard of services provided by Anna and her team. Thank you for taking the time to write this review Jann. It is always a pleasure to see you in the salon and we are delighted that you are happy with the standard of our services. Thank you for your review Cathy, we value your feedback. Claire is always so personable and professional. Even for things like waxing, which let’s face it aren’t enjoyable but she makes you feel very comfortable and at ease. Thank you for taking the time to write this review Kerry and we are pleased that you value our professionalism. We look forward to seeing you again soon. If you are looking for a treat then look no further than the Dermal Lounge. The atmosphere & service is incredible as soon as you step foot Into the salon. With a wide variety of treatments available & a fabulous selection of products to buy you need not go anywhere else. The Dermologica Prescription Facial by Anna is the best facial you will every experience. An hour of sheer indulgence & relaxation. A treat which will find you coming back again & again. Thank you Julie for such a glowing review. It makes our job so worth while when our skills are appreciated and acknowledged. It's always a pleasure to see you in the salon and we look forward to seeing you again soon. Was my first visit here and I would definitely recommend it. I had a lovely gel manicure, looks fabulous. I would really recommend Georgina she is lovely. Very welcoming here. Thank you Julia for your review, we are pleased you are happy with the results of your gal manicure. We look forward to seeing you soon. Thank you Cindy for taking the time to write such a kind review, it is always a pleasure treating you at the salon. We are delighted you enjoy your pedicures with us and look forward to seeing you again soon. Having tried other salons in Weybridge, I settled on Dermal Lounge as the team are wonderful and the setting is very relaxing. It's great value for money and great for some self care. Thank you Claire for your review, we are delighted that you are happy with our service and enjoyed your relaxing treatment with us, we look forward to seeing you soon. THE best antidote to seasonal fatigue. My express facial felt anything but express. Anna unfailingly delivers in a calm and comforting atmospehere. Full marks! Thank you for taking the time to write a review Angela, it is always a pleasure to treat you at the salon, we are delighted that you enjoyed your relaxing facial and look forward to seeing you again soon.. Always a little nervous as it’s not always the nicest treatments but Claire is such a pleasure as she’s quick and so efficient and puts you at ease!.... and the results are worth it!!! Thank you for your review Kerry, we are pleased to know that you are happy with the results of your treatment. Excellent service as always, never kept waiting and a lovely relaxed environment with soothing music in treatment rooms. Thank you for taking the time to write a review Allison, we are delighted you are pleased with our service and look forward to seeing you again soon. Thank you Lyn for your kind review, we look forward to seeing you again. Thank you Rachael for your review, we are pleased you are happy with the results of your treatment and our service at the salon. Thank you Shawn for taking the time to write a review, we are delighted to know that you are please with the results of your waxing treatment. We hope to see you again soon. Lovely staff and really good massage! Highly recommended. I will come back for sure! Thank you Leticia for your review, we are delighted you enjoyed your massage with us. Have been going to The Dermal Lounge for many years and am still doing so because Anna and her team are consummate professionals. Just seen lovely Clare who has a charming and kind way about her. Great experience. Thank you for taking the time to write a review Jules, it's always a pleasure to see you in the salon. We look forward to seeing you very soon. Absolutely excellent ... responsive to need too . Thank you for your review Cathy, we are really pleased that you enjoyed your 2 hours of luxury with us. Always pleasant, helpful and great results. Thank you for your review Louise, we are pleased you are happy with your treatment.